The Last Starfighter Reboot Coming from Gary Whitta | Nerd Much? 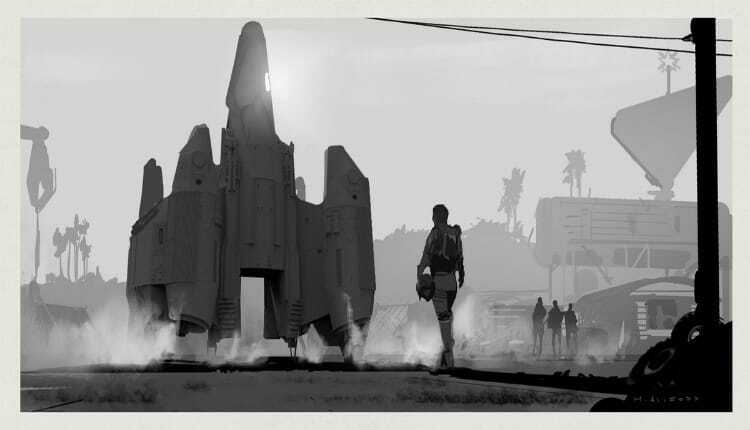 Gary Whitta, screenwriter behind Hollywood blockbuster movies such as The Book of Eli, After Earth and Rogue One, has announced a new project he’s been working on. A reboot of the 1984 flick, The Last Starfighter. Whitta is a weekly co-host of the daily podcast Kinda Funny Games Daily (Whitta Wednesdays). While hosting with former IGN editor Jared Petty yesterday, Petty urged Whitta to announced the news on the podcast as Gary had just published a tweet teasing the project. The Rogue One writer went on to explain he has been trying to get Hollywood to let him write The Last Starfighter’s reboot for years now. But the rights to the property’s license appear murky. But after some sleuthing, Whitta found that the rights appear to have gone back to Betuel himself. If you don’t know Whitta from his movie credits, you likely do for the games he helped bring to reality. Whitta assisted with scripts for Duke Nukem Forever, 2006’s iteration of Prey, and the original Gears of War. But he’s perhaps most notable in the video game realm for his contributions toward the story of Telltale’s The Walking Dead Season 1. Telltale has brought Whitta back in to help round out that game’s conclusion. He’s been announced as a key contributor to the story’s upcoming finale within Season 4. Whitta confirmed that The Last Star Fighter doesn’t have a home yet to be made. But following the public’s reaction to his tweet, it may not take very long to find one.